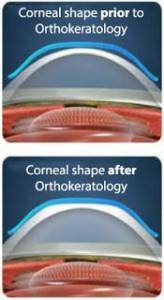 Corneal Refractive Therapy (CRT) is the latest advancement in refractive corneal therapy, also called orthokeratology (ortho-k), options. CRT is the latest advance in non-surgical correction of myopia (nearsightedness). This is achieved by wearing gas permeable contact lenses while you sleep, so that no vision correction is needed during daytime hours. Throughout the night, the lenses reshape your cornea gently so that your vision becomes clear the following morning. The correction is temporary, and ideally no eyeglasses or contact lenses will be needed for the next day or two. In order to maintain sharp visual acuity on a daily basis, you need to wear the reshaping lenses every night. 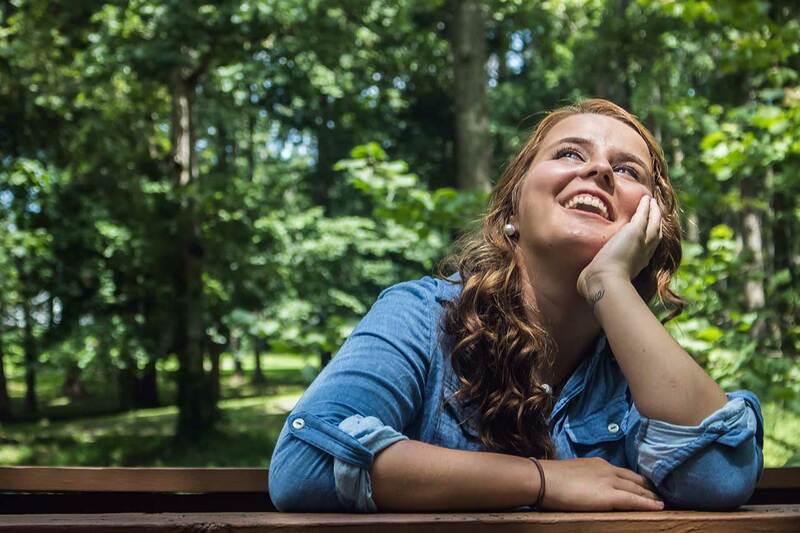 Picture this – With the help of our eye Doctor in Rockville you can have great vision all day long, without glasses, contact lenses or invasive surgery! Scientific studies have shown that CRT is able to reduce the development of myopia (nearsightedness) in children and teenagers. Parents never again have to watch their children suffer with progressive myopia, year after year. Previously, adults who were nearsighted needed to either wear glasses, contacts or have laser surgery. Now, CRT offers a wonderful non-surgical solution. You never again have to worry about glasses, or daily contact lenses and dust, dry eye or allergies. Additionally, laser surgery is only approved for adults 18 years of age and older, while CRT is ideal for children. Especially ideal for children who are active in sports. There is no age restriction at all for CRT candidates. Please describe what CRT is and give a basic sense of how it works. Corneal refractive therapy utilizes therapeutic contact lenses to gently reshape the cornea while you sleep at night, which can correct nearsightedness up to -6 diopters and mild amounts of astigmatism. See it has been approved by the FDA for nearly 15 years and many people enjoy not having to wear glasses or contact lenses during the day, and are used to wearing them at night. Am I a candidate for CRT/Orthokeratology? CRT is very suitable for nearsighted people who are not appropriate candidates for vision correction surgery, such as children. Individuals of all ages with healthy eyes can try CRT, namely because it can be discontinued at any point without permanent effects to the eyes. People who require vision correction and engage regularly in sports, work in extremely dusty, dirty environments, as well as those who suffer from allergies or dry eye and are uncomfortable wearing contacts during the day, will also appreciate the convenience of CRT. Not everyone can wear Paragon CRT. This lens is designed for individuals with low to moderate myopia (nearsightedness) with or without astigmatism (up to –1.75 diopters). Paragon CRT therapeutic lenses are not yet available in bifocal prescriptions for presbyopia (which requires reading glasses or bifocals). The FDA placed no age restrictions on candidates for Corneal Refractive Therapy with Paragon CRT. CRT is being successfully performed on children 12 years old and younger. It can be a great option for children and teens that are active in sports activities or any other extracurricular activities. Corneal refractive therapy utilizes therapeutic contact lenses to gently reshape the cornea while you sleep at night, which can correct nearsightedness up to -6 diopters and mild amounts of astigmatism. See it has been approved by the FDA for nearly 15 years and many people enjoy not having to wear glasses or contact lenses during the day, and are used to wearing them at night. Is the Corneal Refractive Therapy given in Rockville, Permanent? Improvement in vision is generally reported within a day or two of wearing CRT overnight. Most patients have rapid improvement in the first few days of treatment and achieve nearly their optimum vision in 10 to 14 days. According to FDA trials conducted on CRT, more than 65% of patients were provided with 20/20 visual acuity. A whopping number of more than 90% of patients achieved 20/40 vision or better (this is the legal requirement for driving without vision correction in most states). Can I see with my CRT lenses in? How does the CRT assist in treating nearsightedness, and astigmatism? Nearsightedness is due to light focusing the front of the retina. Since the light enters the eye at the wrong angle, this causes blurry vision, glasses typically change directions to light before entering the eye for Clear Focus, while CRT corrects the actual cornea allowing light to direct the retina properly. Also, since the cornea is being reshaped, it actually can correct mild astigmatisms or a defective shape of the eye. How does the CRT slow the progression of childhood myopia? In multiple studies, controlling the shape of the eye through corneal refractive therapy has resulted in myopia progression in many cases slowing down or nearly stopping. Unlike glasses or contacts that simply correct the vision from on top of the eye, CRT actually reshapes the eye to guide the light as it enters the eye. What is it about this particular technology that you find most exciting or the component that made you feel you need to use in this for your practice? It’s safe, holistic, and avoids the need for surgery to get perfect vision. What’s not to love? What results can a patient expect from being treated with CRT? Amazing vision during the day without prescription eyewear. You can wear regular, brand name sunglasses right off the shelf. While patients may need time for their eyes to adjust to CRT as they get closer to 20/20 vision, the process is fast & effective. 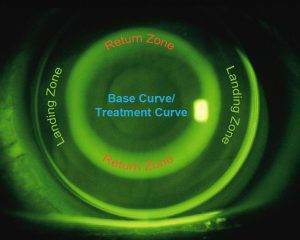 Refractive surgeries, are possible after treatment with CRT lenses. Yet because CRT works to reshape your cornea, you are required to stop wearing the lenses for approximately several months before undergoing laser surgery. This allows your eyes to return to their original shape. It’s important to inform your surgeon if you’ve been wearing CRT lenses, and you will be advised as to how long of a wait is necessary before having the laser procedure. We know that children's eyesight is a top priority for all parents. 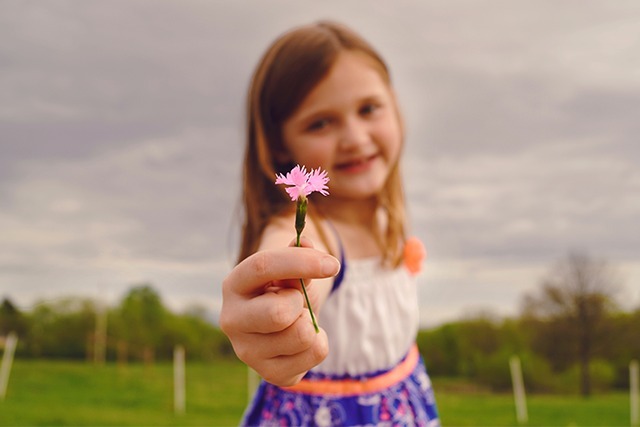 Myopia Control is known to help improve children's vision, so book an appointment with your Wink Eyecare Boutique eye doctor today and let's get started! If your child is nearsighted and you are contemplating getting glasses - wait! Try Myopia Control instead - a process of wearing contact lenses at night to reshape the eye. This process has proven to prevent patients from becoming more near-sighted. Prevent your Kid's glasses from getting any thicker! Start doing Myopia Control for your kids today! Myopia, often known as nearsighted vision, is an eye condition that effects many adults and children. In order to promote stronger vision over the long-term, it’s essential to control and repress the progression of myopia. With myopia control, specialized lenses meant solely for overnight wear are worn with the objective of shaping the cornea while you slumber. This process is called Orthokeratology, or Gentle Vision Shaping System (GVSS). In the morning, your child's eyesight will be sharp even after removing the Ortho-k lenses. With this method, it's not necessary to put in lenses during the day or wear eyeglasses! Help your child look sharp and feel great! Please contact Dr. Cohn to reserve an appointment to discuss your child’s candidacy for CRT. We fit many kids with CRT lenses, and we’re waiting to see you in our Potomac office. Please click here to download Myopia Control Infographic!